Our website design is not only beautiful, it converts visitors. 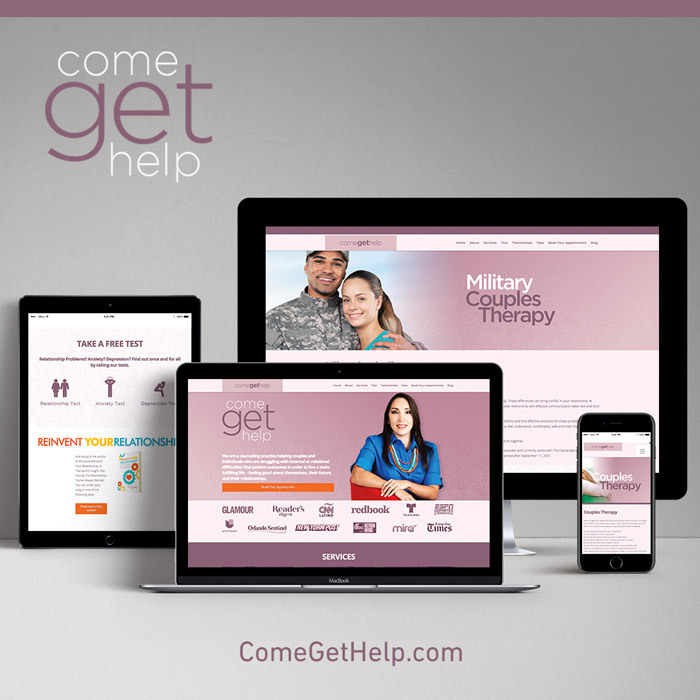 This website built for Tampa based couples counseling company, Come Get Help, features a number of conversion elements such as booking calendars, eBook download forms and more. Visitors have a number of ways to engage deeply in the content of the site too. There are psychology tests to take, videos to watch and blogs to read. By keeping visitors on the site longer, they are more likely to feel a connection and to ultimately seek out services. If you’re looking for a more effective web design for your company, let’s schedule a free consultation.